“BRDS is proud to announce that BRDS has the highest selection of students in NID/ NIFT / IIT-CEED / CEPT / NATA this year as compared to any coaching institute in India. Why you should Buy BRDS study material? 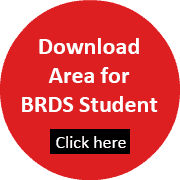 BRDS Study Material is the Highest selling course material for NID, NIFT, CEED, NATA and CEPT through out India comparing to any coaching institute. BRDS offers expert guidance & support, Students can scan their sketch book & artworks and send it for assesment at [email protected] OR for those who wish to send the Hardcopy of their Sketchbook, they can send their sketch book throught courier at Ahmedabad Address given below. The faculty at BRDS will review & assess a students work, provide remarks & courier it back to your address with 7-12 working days. BRDS is the only institute which offers complete study material in one Lot. How to apply for study material? OR if you are going to pay using Net Banking please keep your user id & password ready. Confirmation E-Mail by CC Avenue if you have done the payment using online payment. Courier at the address mentioned above. Before Filling the Online Registration form, Please keep the following items ready. Download Study Material Form (click here), Take a print out & Fill the required information. Option 1: Cash Payment Cash payment at BRDS centre OR Cash deposit at the nearest branch Bank in your city. Option 2: Online Payment Credit Card, Debit Card etc. You can issue a Demand Draft from any Bank. Demand Draft should be in favour of ‘BHANWAR RATHORE DESIGN STUDIO’ payable at Ahmedabad.Please mention your name and mobile number on the backside of your demand draft. Demand Draft should be in favour of ‘BHANWAR RATHORE DESIGN STUDIO’ payable at Ahmedabad.Please mention your name and mobile number on the backside of your demand draft. Cash payment at BRDS centre OR Cash deposit at the nearest branch Bank in your city. Credit Card, Debit Card etc. As soon as we will receive your application form and confirmation of your payment; the study material will be send on the postal address within one week.